No two people are alike. So why should their funerals be? When arranging funeral services with us, you will find that we will go to great lengths to design a service that honors your loved one's life in a manner they would have wanted. We will listen carefully for what is meaningful to you and your loved one and encourage you to incorporate those ideas or thoughts into the funeral service. Include personal eulogies from family members and good friends that pay tribute to your loved one. Funeral Arrangements can be made either at the time of need, or can be planned in advance of need. “At Need” refers to the time when a death has occurred and the need for making funeral arrangements is immediate. Making arrangements for the appropriate farewell of a loved one is complicated by the need to make decisions quickly and by the emotional realities of the situation. Our trained and experienced funeral professionals will meet privately with the family to review all of the service and merchandise options available so as to provide the family with the knowledge they need to make informed decisions. Our goal is to guide the family through this important process by truly understanding their wishes and creating a uniquely personal and special occasion that will be shared by family and friends, and warmly remembered by all. Our care continues after the funeral as we help the survivor to begin to make the transition of life without their loved one. Our Family Service Counselors will advise families on a number of details that have to be taken care of after a death has occurred, including: the completion of all necessary forms to apply for government and insurance related benefits; locating and reviewing deceased’s will; inventory assets; transfer of liquid assets; inventory liabilities; insurance details. “Advanced Planning or “Pre Need” refers to the situation where one can make their own funeral arrangements well in advance of when they will be needed. 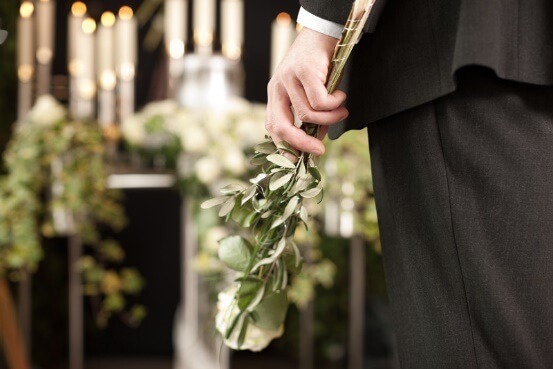 Our experienced funeral planning professionals will meet with you to design a farewell event that respects your beliefs, traditions and budgets. Preplanning the details of your funeral and cemetery arrangements also relieves your loved ones of having to make these difficult decisions during an extremely stressful time. Preplanning allows you to save money by guaranteeing your costs at the date that you finalize your details. Researching funeral homes can be overwhelming, and it is something that generally is time sensitive. At Boulevard, we fully understand the process of planning funeral services in Milford, NJ and we are committed to making yours as stress free as possible. Please do not hesitate to call us at (201) 692-0100 if you need immediate assistance.